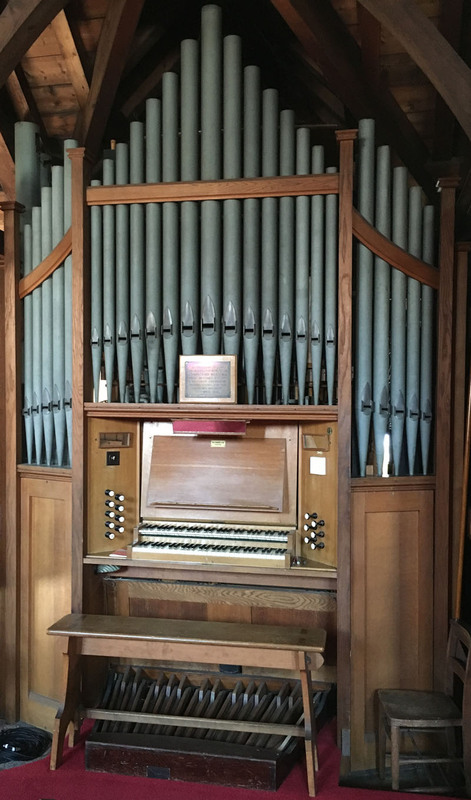 St Saviour's Church in Brookwood, Surrey has a 2 manual pipe organ built by George Osmond and Company in Taunton. "To the Glory of God and in grateful memory of Thomas Henry Wyatt. M.A. Curate in Charge 1935-1937. 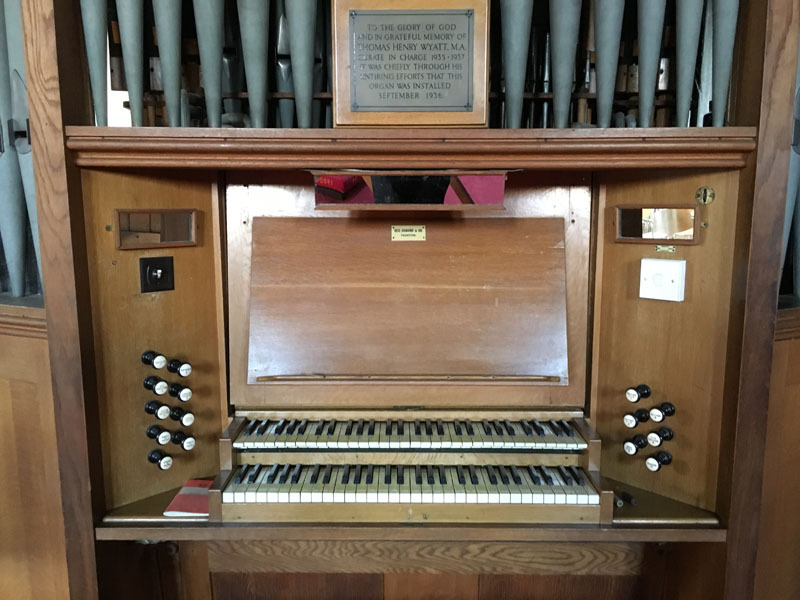 It was chiefly through his efforts that this organ was installed September 1936". Musicians and performers have welcomed the warm acoustics and flexibility of the space for rehearsals and performances. Brookwood has a main line railway station with London Waterloo only 35 minutes away.